Friends, Romans, countrymen, lend me your wrists. Throughout history, there have been many watches that have graced the wrists of kings and queens, but very few that an emperor might wear. Talented Italian designer Riccardo Rossi decided to change all that: with a collection of unique timepieces that celebrate the Roman Empire. There is nothing contemporary about Rossi’s designs. These are definitely watches a Roman Emperor could love. The boldly styled Italico Coliseum model finds its inspiration in the ancient stadium where gladiators once fought. This massive 44mm timepiece features a distinctive bronze IP bezel embossed with an arch pattern that echoes the architectural lines of the original Roman Coliseum. The rugged looking bezel, with the deep bronze tones of a gladiator’s armor, encircles a spectacular green marbleized dial with deeply embossed bronze Roman numerals. Although the styling is something a Roman warrior could love, the precision Swiss made quartz movement that powers this impressive watch is all about today’s best technology. The Italico Coliseum model features a durable mineral glass crystal and a highly polished stainless steel case that is water resistant to 165 feet. Each watch is fitted with a handsome 24mm brown leather strap with contrasting white topstitching. If you’re the type of person who appreciates ancient history, you’ll appreciate a timepiece that unabashedly celebrates the glories of ancient Rome. Let your inner warrior rule! Contact your authorized Italico dealer today and reserve your own Coliseum immediately. 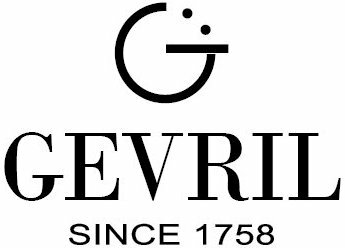 Gevril Group is the sole US agent for Italico Watches. Contact us, by email or at 845-425-9882. Emperors and gladiators provided the inspiration for the aggressively masculine designs of Italian watchmaker Riccardo Rossi. 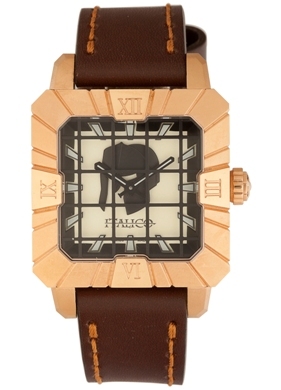 The unique timepieces in his impressive Italico line pay homage to the glory that was Rome with boldly masculine designs that will appeal to every man who has to fight his own battles in today’s urban jungles. The Italico Gladiatore model finds its inspiration in the strength and power of the gladiators who once fought in the Roman Coliseum. This rugged looking 42mm square design features a rose gold IP bezel with precisely engraved roman numerals and hour markers. A unique mineral glass crystal with an etched grating “protects” the cream yellow dial with its Italico warrior logo and luminous indices. A precision Swiss made quartz movement powers this dramatically masculine design. The watch features a durable stainless steel case with a screw down case back that is water resistant to 165 feet. Each Gladiatore is fitted with a handsome 23mm brown leather band with gold topstitching. 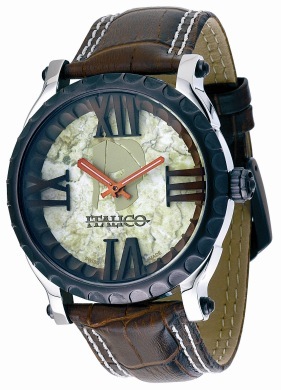 If you’d like to wear a watch that a Roman Emperor could love, you’ll love the Italico Gladiatore. Start wearing a bit of history on your wrist. Contact your authorized Italico dealer today and reserve your own Gladiatore timepiece immediately. This watch doesn’t just make a statement. It makes a proclamation! When Italian designer Riccardo Rossi wanted to create a collection of timepieces that were quintessentially Italian, he looked backward to the Roman Empire. There is nothing contemporary about an Italico timepiece. These aggressively masculine designs were inspired by ancient emperors and are favored by a whole new generation of men who enjoy living large. The Italico Imperatore Tonneau is a spectacular timepiece. This watch doesn’t just make a statement; it makes a proclamation. With an oversized 42mm tonneau shaped case, this impressive watch commands attention. The massive black IP bezel is fastened to the stainless steel case by four stainless steel screws. 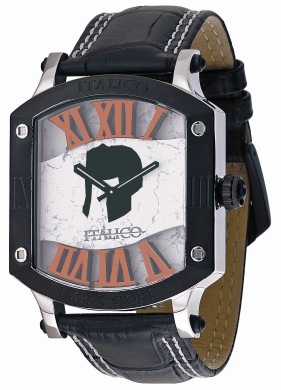 The masculine bezel frames an equally impressive marbleized grey dial with embossed rose gold tone Roman numerals and two hands shaped like Roman swords. This imperial looking timepiece is powered by a precision Swiss ETA quartz movement. The watch is equipped with a durable mineral glass crystal and is water resistant to 165 feet. To complete the imperial design, each Italico Imperatore Tonneau has been fitted with a handsome 24mm textured black calfskin strap with contrasting white topstitching. You probably aren’t an emperor, but you certainly deserve to feel like one. Start celebrating the glories of ancient Rome by wearing something an emperor might love. 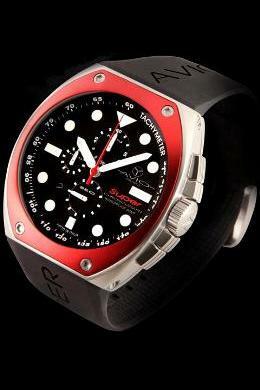 Ask your authorized Italico dealer to reserve your own Imperatore timepiece today.